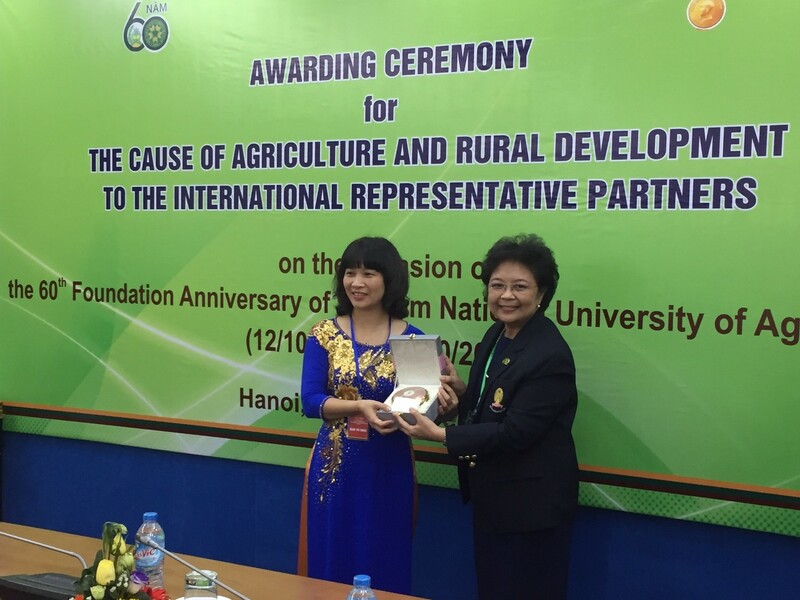 Prof. Dr. Achariya Sailasuta, Department of Pathology, Faculty of Veterinary Science, Chulalongkorn University and FAVA Secretary General was invited to the 60th Anniversary on the establishment of Vietnam National University of Agriculture, VNUA, Hanoi, Vietnam and received the University’s merit award from the University on the contribution of the academic collaboration between the Faculty of Veterinary Science, Chulalongkorn University and the VNUA, on 10 December, 2016, Hanoi, Vietnam. 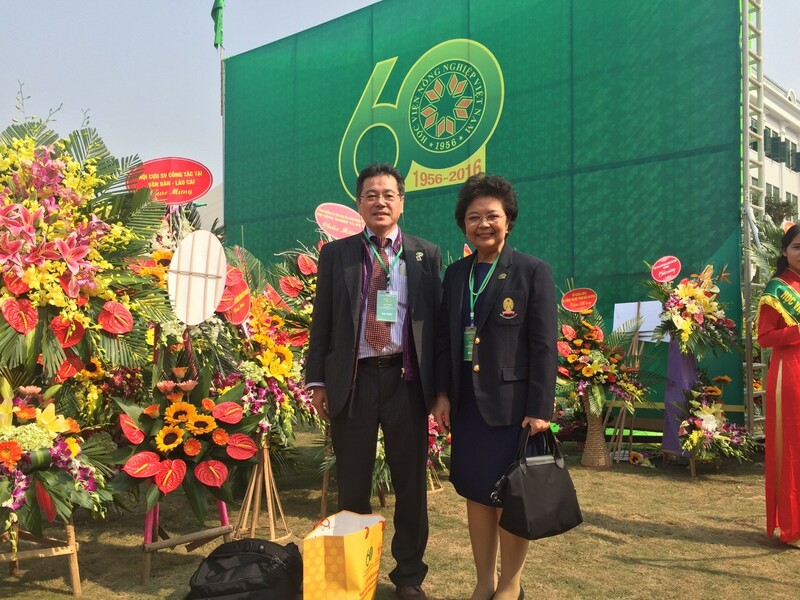 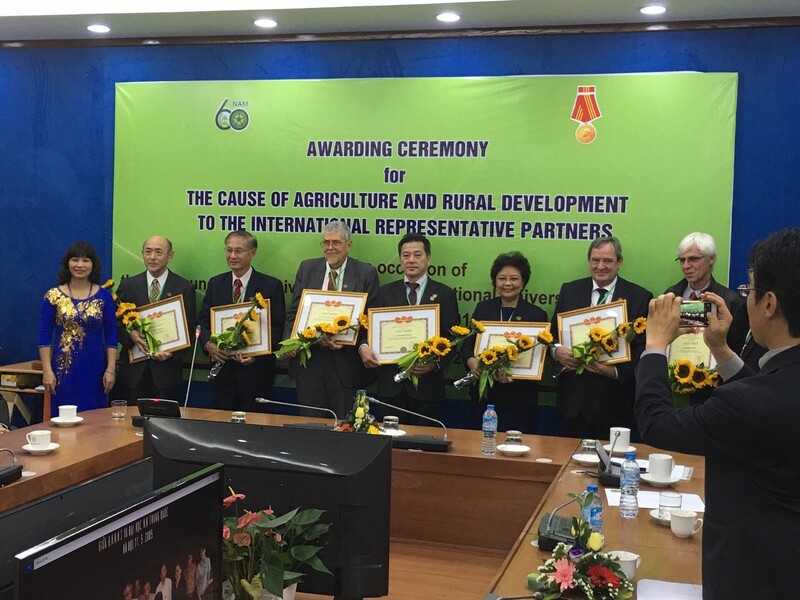 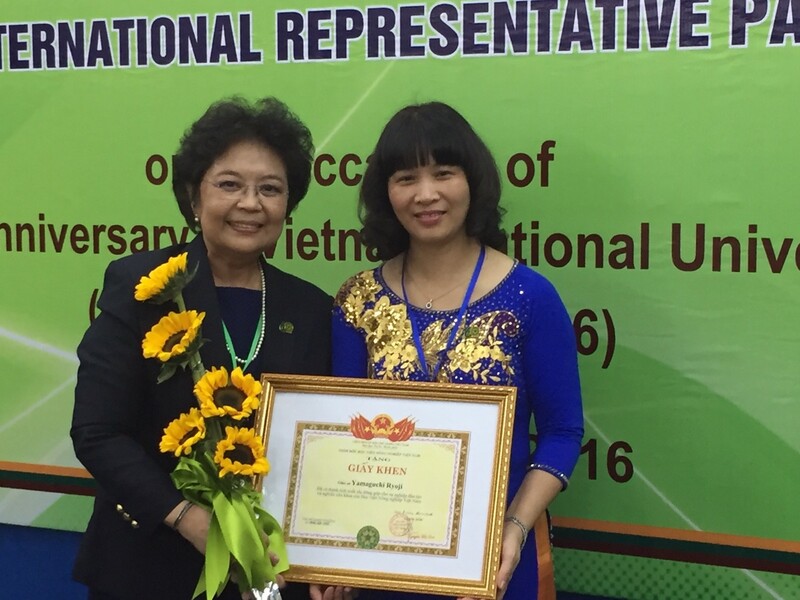 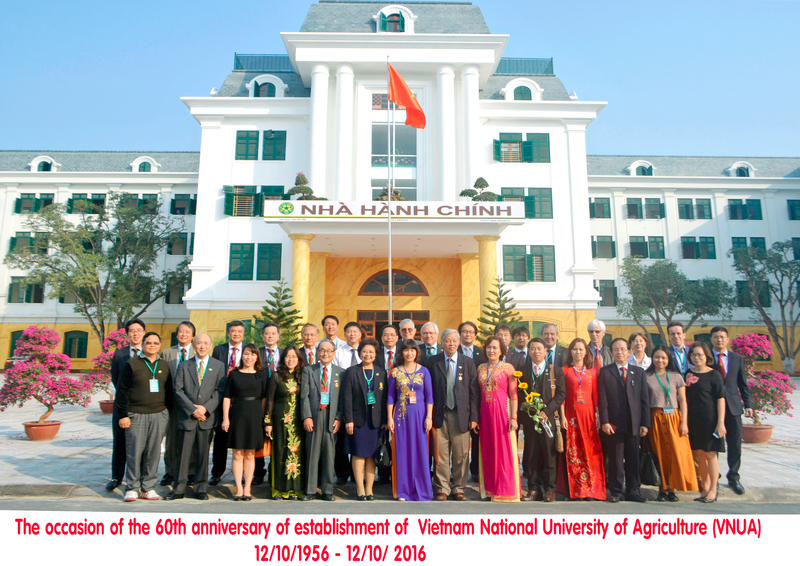 On the occasion of the 60th anniversary of the establishment of Vietnam National University of Agriculture, VNUA, Hanoi, Vietnam. 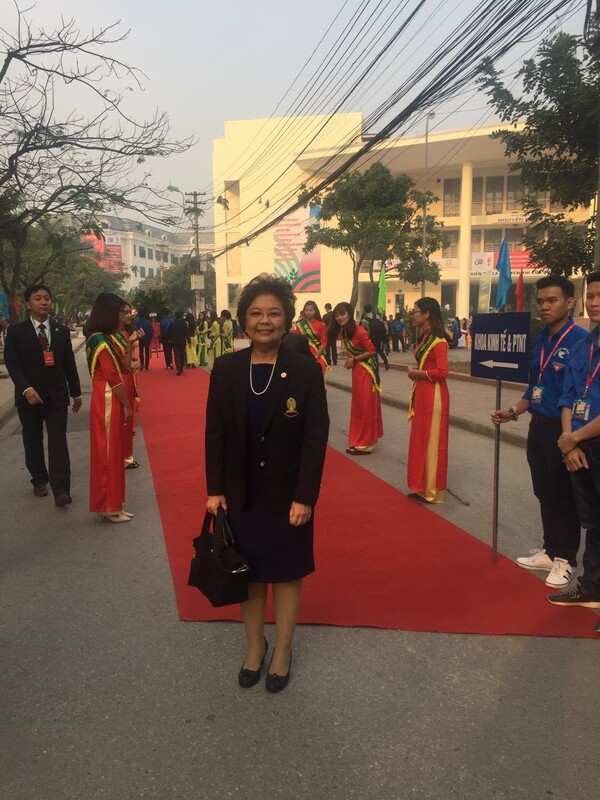 I would like to extend my warm greetings and congratulations to the university and also convey our greetings to all the colleagues. 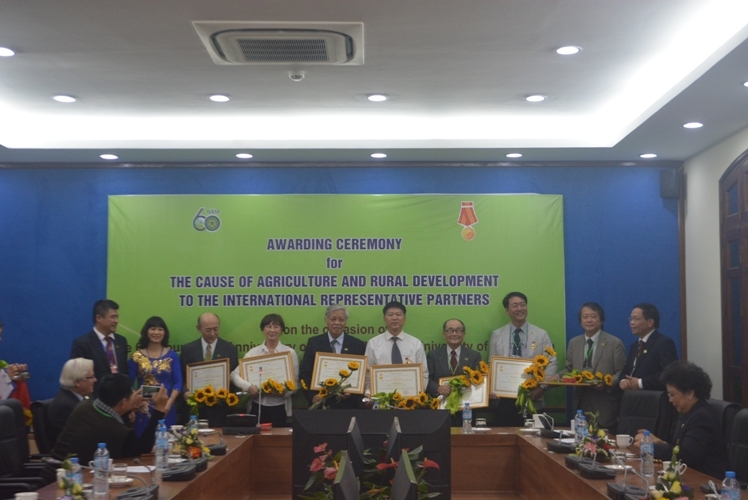 Looking back, the past year, indeed the past decade has been a significant one for the actively collaboration between our universities, Vietnam National University of Agriculture and Faculty of Veterinary Science, Chulalongkorn University, starting from our friendship. 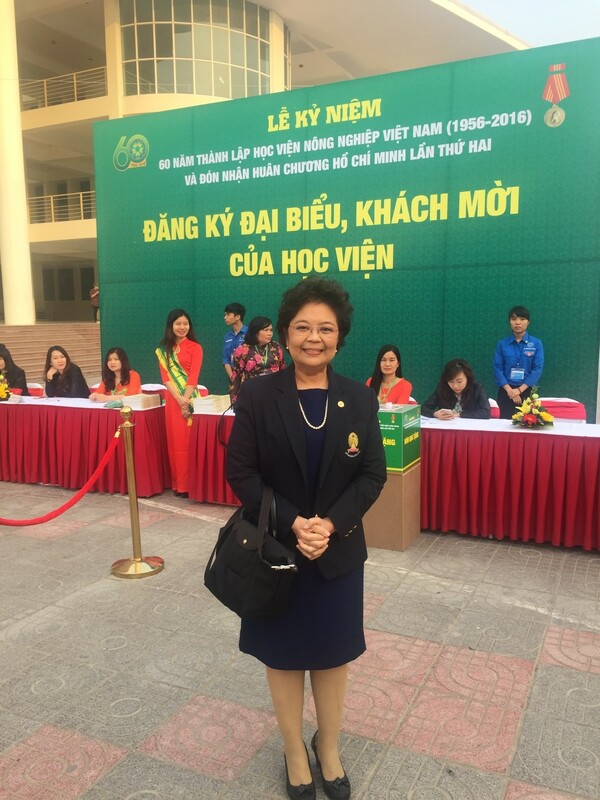 With many flagship academic activities, the 1st International Training Course on Aquatic Animal Diseases and diagnostic Techniques for the teaching staff, which was held in 2010. 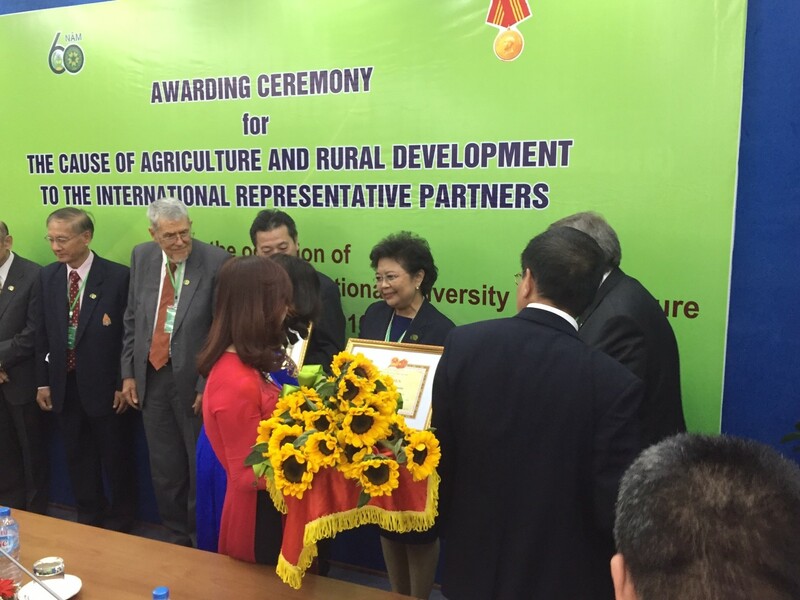 We have started to bring the fruits of development of veterinary medicine in an inclusive manner. 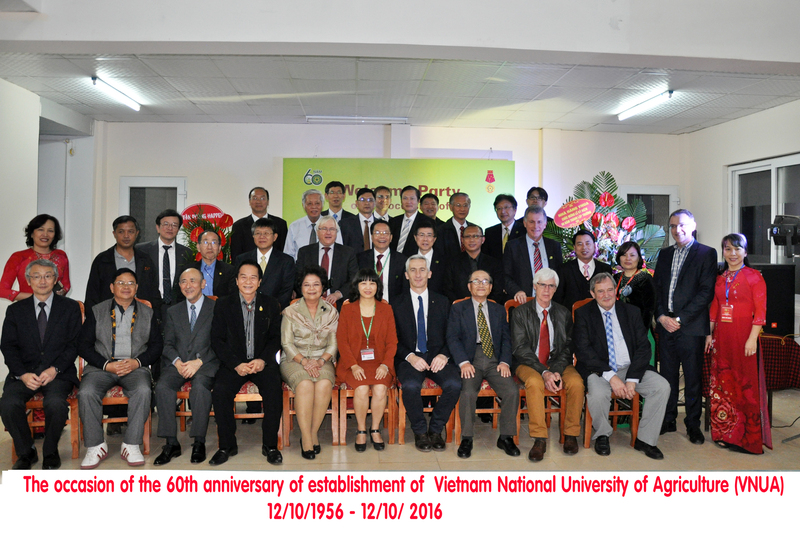 Up to now, VNUA’s development represents stability and harmonious co-existence in respect for both academic and veterinary profession values. 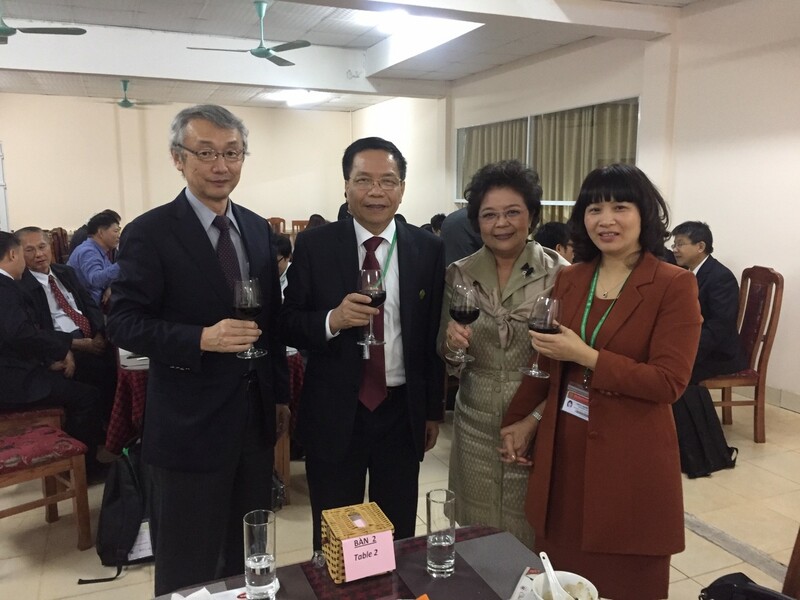 We applaud to role played by our collaboration VNUA, Vietnam and Chulalongkorn University, Thailand which has served as a bridge for our community, ASEAN. 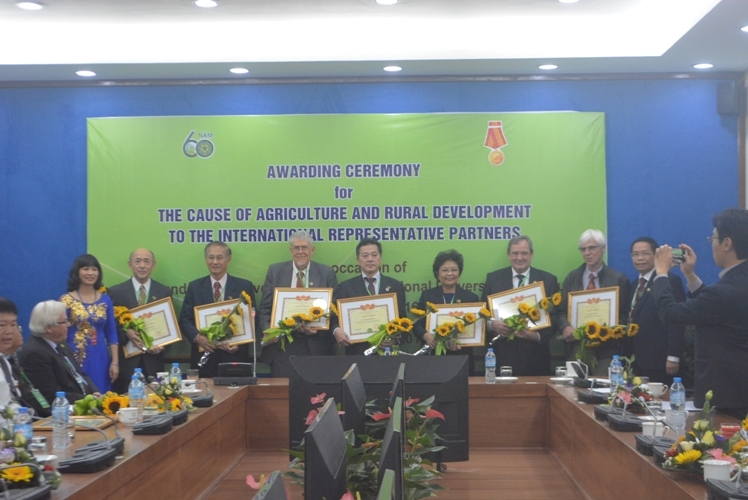 We are proud of its achievements. 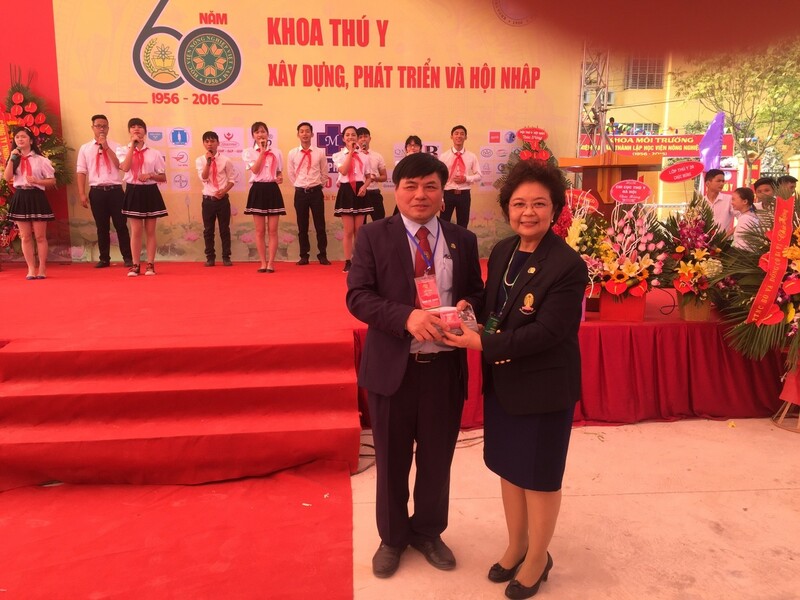 On this occasion, I am pleased to be a part of the flourishing relations between two universities and once again convey my best wishes to VNUA on 60th anniversary of the establishment, a prosperous and amicable future together.